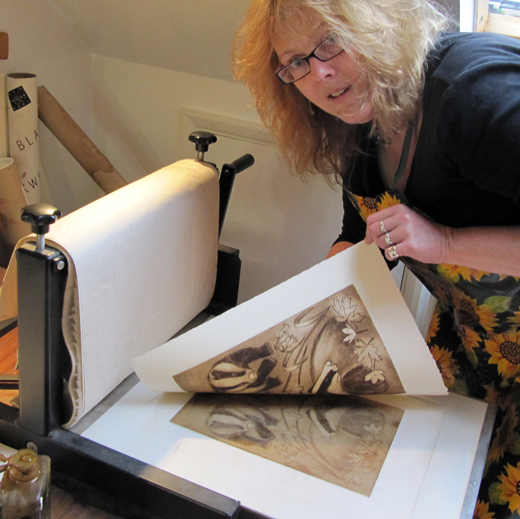 Drypoint is a printmaking technique that allows an artist to make multiple copies of an image, but with each painting retaining a unique handmade quality with slight variations in each copy. 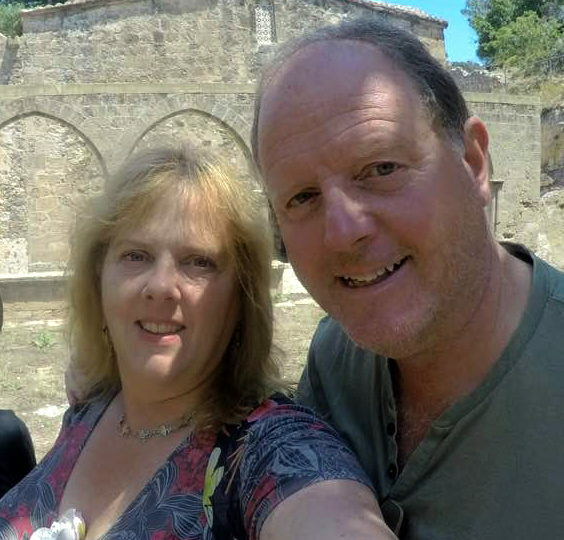 People often wonder how it’s done, so let me show you. First of all, draw out your design at the size you’ll want it to print. You have to remember that the print will eventually appear in reverse. Sometimes this matters and sometimes it doesn’t. 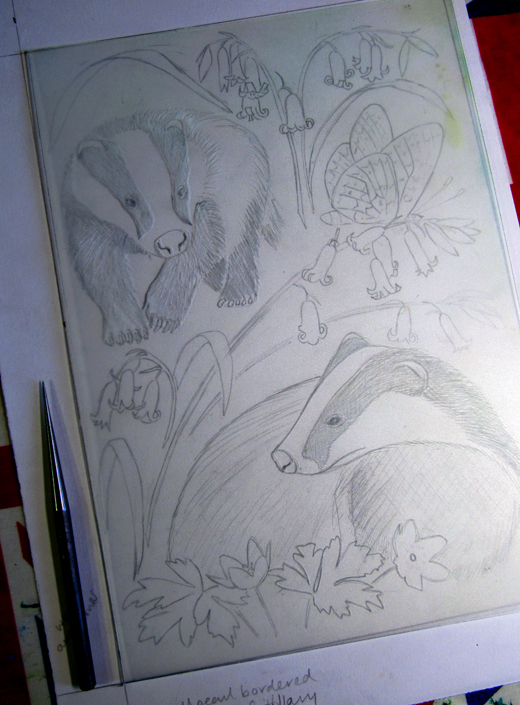 Next comes the drypoint part. I have to scratch the image into the ‘plate’ that I will print from. 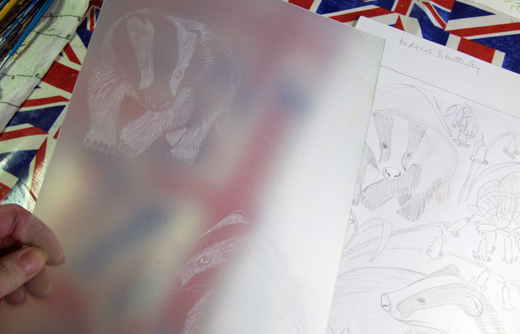 Some artists use perspex, but I like transparent polypropylene sheets; it’s soft enough to scratch into without making your fingers ache and has a mid-tone ‘grain’ when it prints. 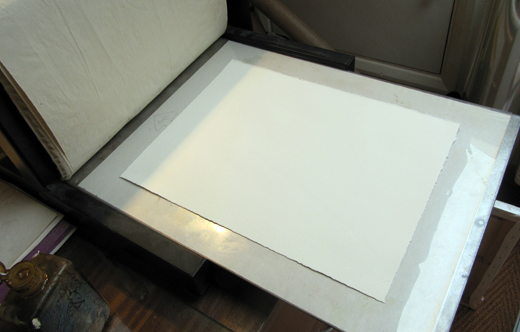 I cut the sheet to size and lay it over my drawing allowing me to trace through with my etching needle. It takes a long time and it’s close, detailed work. There is no room for a single error. Once I have made a scratch I cannot unscratch it! 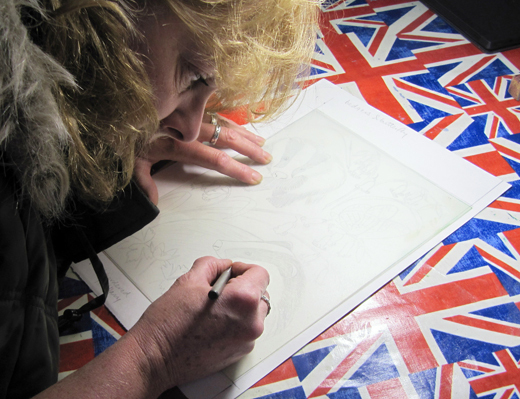 When I am satisfied that the drawing is completely transferred to the ‘plate’ it’s time to get the inks out. 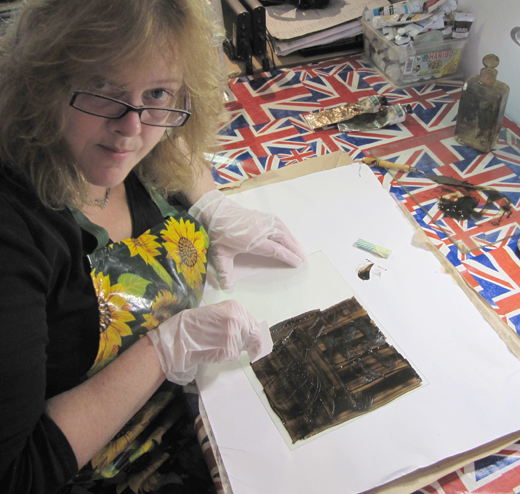 I use vegetable oil based fine art etching inks, mixed with a little sunflower oil. I completely cover the plate, taking great care to fill all those little scratches with the treacly ink. 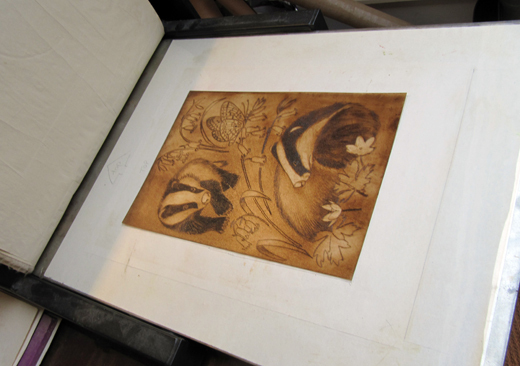 I then wipe away any excess ink to reveal the image on the plate – ready to print! 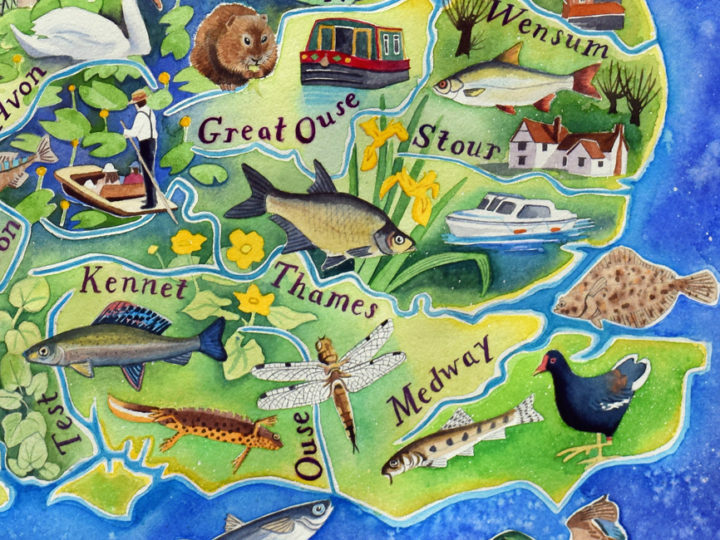 …and I lay a sheet of dampened heavy-duty 300gsm watercolour paper over the plate. 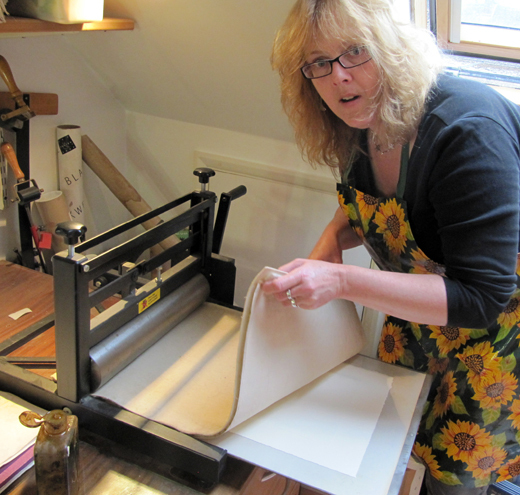 I lower the blankets over the paper and wind it through the press. 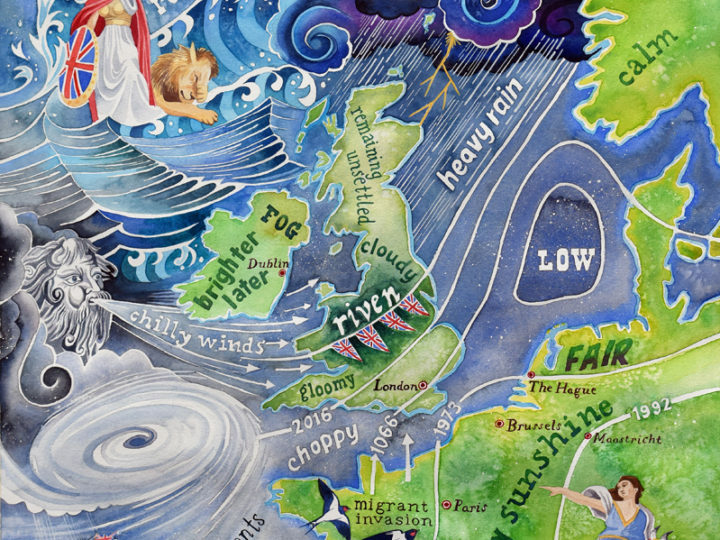 The tremendous pressure forces the damp paper into all those little scratches to pick up the ink. 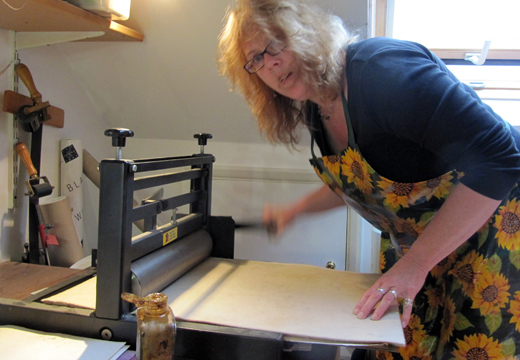 …and carefully lift the paper to see how its printed! This inking and printing has to be repeated with the same care for every copy. 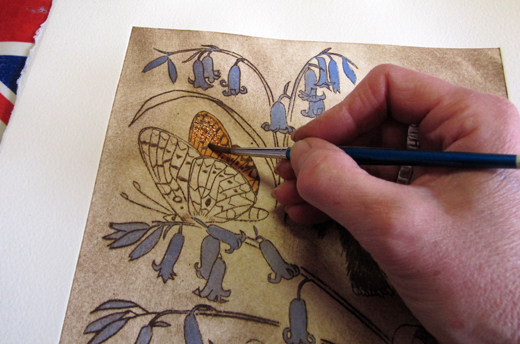 I then set to work with my watercolours to tint each copy by hand. 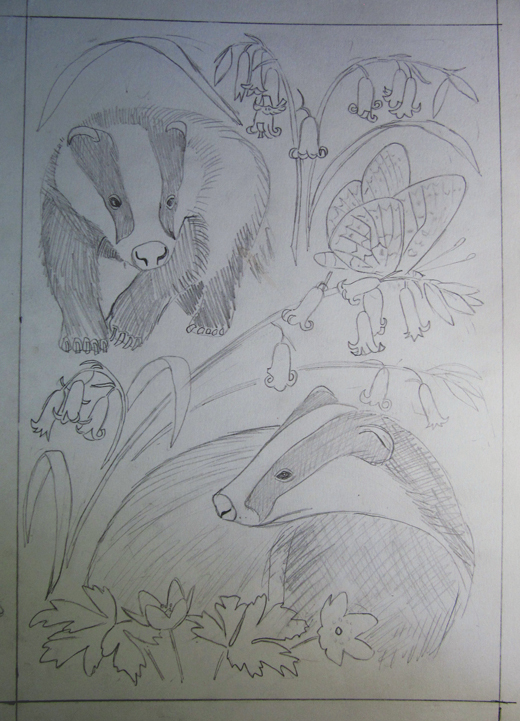 And here’s the final image: ‘Badgers and bluebells’, along with some wood anemones and a lovely pearl-bordered frillitary, a woodland butterfly. 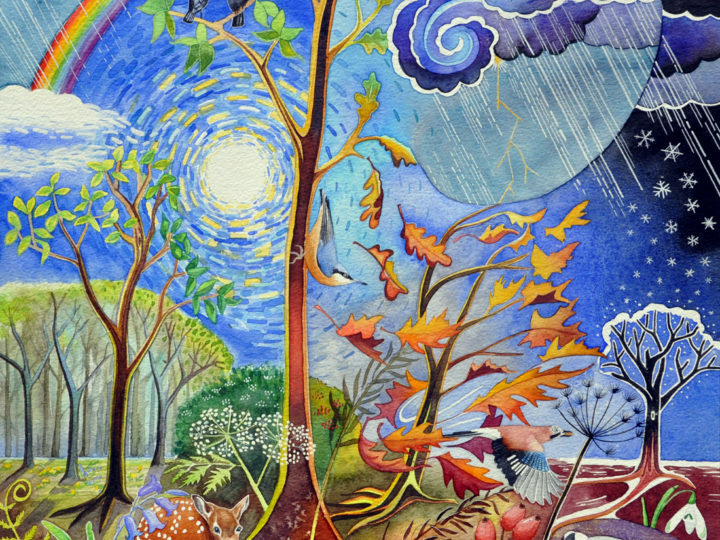 The really nice thing about making multiple copies is that I can keep my prices very low so people can afford to own an original work of art. 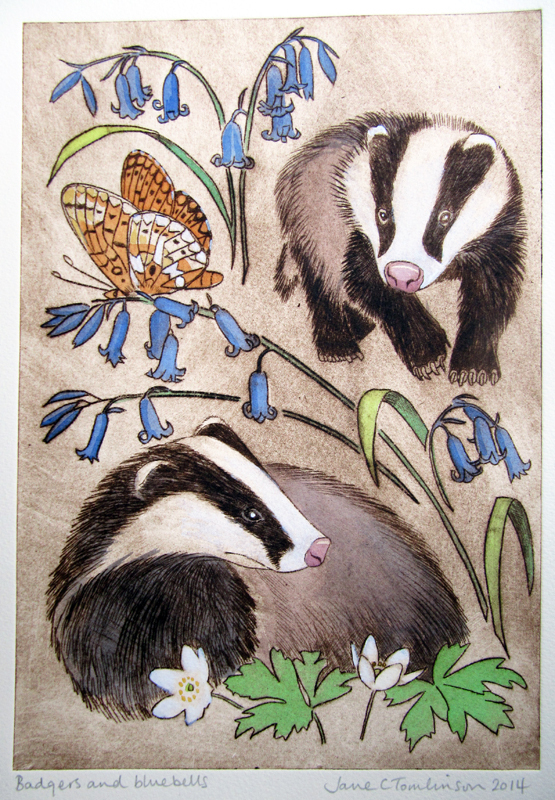 Badgers and bluebells is a limited edition print run of only 11.